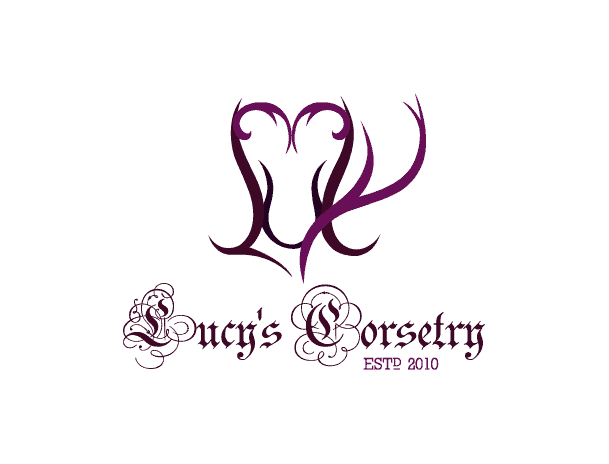 Introducing the new Corset Measurements Calculator! I may not have been posting often these last several weeks, but that’s because many things have been happening behind the scenes – including this dynamic calculator that will tell you the approximate dimensions of the most popular corset styles. This calculator will have a permanent spot on my Corset Dimensions Directory page, over HERE! Type in the corset size you’re interested in (for instance, if you have a 26 inch natural waist and you want to see if a size 22″ corset would fit you in X brand and Y style, then simply plunk in the number 22 in the first field), choose your corset of interest in the dropdown, and it will automatically tell you the bust, ribcage and hip circumference measurements of that particular size! It also gives notices when you choose a corset that tends to stop lower on the ribcage (a cincher or waspie style), when you have chosen a longline style, and also any styles that feature adjustable side hip ties. Hi Suzy, you have a few conditions that *might* be contraindicative to wearing corsets. 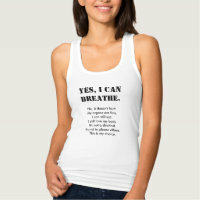 For instance, not everyone with asthma is able to comfortably wear a corset and take full breaths. There are also concerns about high blood pressure, because wearing a corset can slightly elevate blood pressure even further (just for the time it’s being worn). If you can talk to your doctor and see if he approves of you getting a corset to help you with other things (like your anxiety, or possibly helping you with portion control and losing weight, etc) then I’d be happy to work with you, and you can give your full set of measurements in my contact form on this page (watching the video at the top is helpful for giving your proper measurements). All the best! I just ordered my first corset and its due to be delivered tomorrow, but now Im worried that I may have ordered the wrong size. I ordered the Timeless Trends Hourglass Longline Underbust. My underbust measurement is 35 and waist is 34 so according to the instructions on their website (because I have less than 2″ difference between underbust/waist) I went down a size to a 26, but now I see here on your calculator that is going to fit an underbust of 32.5 Should I just expect to return for the 28 right from the get go? So I typed in my information, the desired company, style and size. My question is, are the results what my starting measurements should be, or what my measurements will be once it’s closed. Sorry if this is a stupid question. Hello Michelle, the results are the size of the ribs, waist and hips of the corset once fully closed – the ribcage and hips should be close to your natural measurements, while the corset size (closed waist measurement in inches) is reduced. This is a very handy tool for selecting the right corset. Thank you for it! Thank you Elena! I’m so glad you find it useful! I’ve been corseting for a few months, and can almost close a 34″ in the Timeless original silhouette. One thing that is hard to take into account is “squish up” or muffin-top. As I decide the corset to size down, I’m trying to figure out how to account for this. Usually, my underbust is about 38. When corseted at 34″, I have a muffin-top that measures 39.5-40″. Should I use my measurements when corseted for the underbust, and then size down, so that I’m looking for an underbust of 38 to 40, waist of 32, and the same hip measurement, since I don’t have a lot of “ooze” to worry about? I think I have my choices narrowed to 2-3 OTR brands, but this will make a huge difference in what I choose. I am a 25 waist. I’m petite. What size corset should I get. I think I made a mistake. I ordered a 22 and I was sure I should have gotten a 20. Please help!!! Hi Nicole, when you wear the size 22 corset, are you able to close it all the way? Where did you order the corset from? I am waiting for it to arrive from corset story. This will be my first time ever to wear a corset. I just want a good experience. With an authentic piece. I’m a 25 waist so I was not sure whether to get a 22or 20. I feel like I should have gotten a 20. I have not received it yet, so I won’t know whether or not I’ll be able to close it all the way. WhY do you think? In the past year I went from 230lbs to 175lbs mostly due to illnesses such as fibromilgia and chronic back pain (I have six screws and a metal plate in my lower back). I am looking forward to waist training but I am having a hard time finding the correct size to purchase. These are my natural measurements ; 39″ underbust, 41″ waist, 43″ upper hip, 44″ lower hip and 9″ from underbust to upper hip (left & right sides). The only thing I know for sure is that I would like a 35″ waist. I know you are probably busy but I hope you can find the time to help me. Thanks in advanced! I love all your videos! So after 8 months of stalking your website and youtube page and instagram, I ready to use the holiday as an excuse to finally get a corset. I’ve watched the beginner videos and love the calculator. I guess the only thing I’m still fuzzy on is the measurements for the hip. The wings so to speak. I’m starting with an OTR corset so this calculator is definitely helping me to decide. But if my hip is 35, do I want to get something that is a 34? I don’t want stuff going numb on me. Also the only number I want to be much smaller is teh waist right? Not my ribcage or hip (upper). Hi Shan, I don’t recommend buying a corset that is known to be smaller in the hip than your natural hip, unless you absolutely intend to wear the corset with a gap in the back. If you see a corset that will fit you alright in the ribcage and waist but it’s just one inch smaller in the hip, you can wear the corset with a narrow A-shaped gap. As long as the bones are not warping, it should not harm the corset, and it should be more comfortable for you. Alternatively you can order the corset and add hip gores or expandable hip ties to it – I have a playlist of modification tutorials here to help you out. Hello! I love this calculator. I need help going the other direction though…I’d like to put in my measurements, select underbust long line stylr and see what it recommends for me. Depending on how much I can compress my waist, I’ll need between 17″-21″ differential from waist to hip in a long line. Is there a corset can accommodate a 39″ underbust, 38″ waist (which I’m guessing I can cinch to 32-34 eventually) and 53″ hips (measurement where the OC 426 hits)? Hi Colleen, unfortunately I’ve never personally tried a corset that accommodates such a dramatic hip spring! I know that many people are flocking to Mystic City’s mesh corsets (which start with a decent hip spring and then has adjustable hip ties on top of that) which might accommodate your hips, but no guarantees. I haven’t tried those corsets though, so do a bit of research before deciding on it for sure. I like it and appreciate the effort. I have also found the lace base very useful. The lack of detail that some brands about their measurements for off the rack corsets is frustrating. Hi, I’ve been looking into corsetry for awhile and am hoping to get my first one sometime this year. I was looking at what Orchard Corset has to offer and used the chat to ask which corset I should get given my measurements [31in underbust, 28in waist, and 36in upperhip] and goal [mainly everyday posture and back support, but also wanting to waist-train in a few inches] and was directed to four corsets, all in size 22. My question is: if I get the CS-345 [my favorite of the options] and eventually train down to the 22 inches, won’t there still be gaps at the top and bottom [you know that )( shape]? Will that be harmful to the corset to me or the corset over an extended period of use? Hi Alex, if you try to close the CS-345 corset in size 22″ all the way at the waist line, it’s very likely that it will give a )( shape in the back. Over time, you might find that the ribcage fits a little better (from the corset easing slightly around the top edge, and from any possible compression of your ribcage) but at the hips you may notice some spillover under the bottom edge of the corset, or your hips possibly going numb if you try to pull it too tight. Also, a )( shape in the back can cause the bones by the grommets to twist in their channels and possibly rip out of the corset over time. Splendid! I LOVE it! Can’t wait to see how it evolves. This is amazing! Thanks so much for putting it together. This is so great–thanks for all the work you’ve put into this! Can I make a suggestion? It’d be great if we could have a list of corsets and their measurements in our size so we can compare them at a glance rather than having to look them up one by one individually. This calculator could theoretically show every brand and style’s ribcage and hip measurements for a single waist size, but I kept it the way you see it here specifically to reduce clutter. There’s others, too, in different colors and sizes. I have one corset from her. Like that she always posts complete measurements. This is awesome! I love it. I wish more corset websites posted their “spring” measurements.